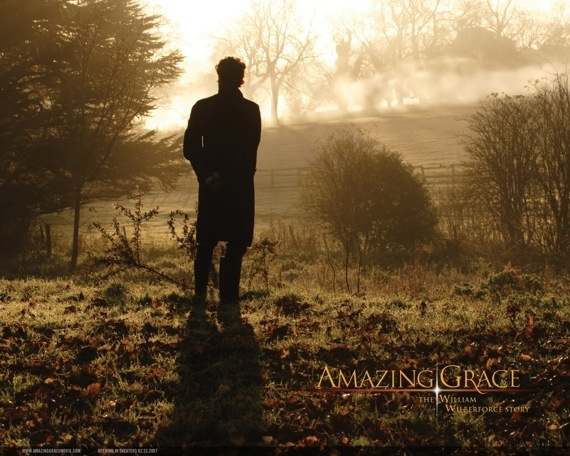 Sunday night I had the privilege of watching the film Amazing Grace with a large group of people. I hadn't seen the film in a few years, but I am grateful for the having the opportunity to watch it again! It is so inspiring! There are lots of things that could be said about both the film and William Wilberforce's life. But I want to focus on one in particular: that he did not give up on his calling. Though it was difficult, and possibly almost took his life, Wilberforce worked tirelessly to abolish the slave trade. Though he tried to escape it several times, wanting good things and a different path in life, he ultimately could never escape that which he was called to. He was called to change the world, and could stop at nothing less. Have you been called to something? Are you trying to escape the responsibility because it is too hard, or because it is unpopular? Or are you still sticking it out, rewarded only by knowing that you are doing the right thing? I'd love to hear your thoughts. And if you haven't seen the film yet, go watch it and be inspired!